What do you get when it's rhubarb season and you're at my house? Lots and lots of rhubarb tarts! 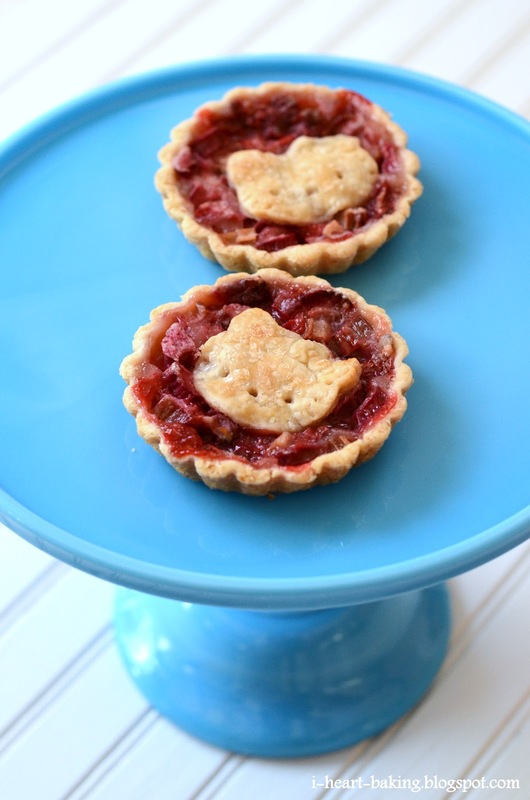 This time I combined the Hello Kitty strawberry rhubarb tart from my last post, with another recent post on strawberry rhubarb tartlets, and so I made Hello Kitty strawberry rhubarb tartlets! For the crust, I again made an all-butter pie crust, and divided the dough into 6 equal portions. Then I rolled each portion into a circle and carefully lined each tartlet pan. After running my rolling pin over the top of each tartlet (to cut off the excess dough), I wrapped the extra dough in saran wrap and put it in my fridge, which I would use to make the Hello Kitty cut outs later on. For the filling, I chopped rhubarb and strawberries into same sized chunks, and then tossed them with sugar, flour, and a pinch of salt. 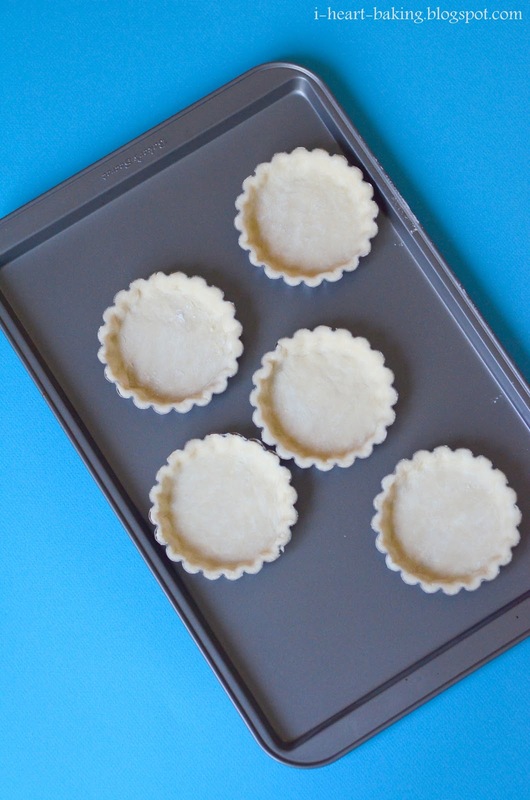 After filling each tart pan to the top, I used the extra pie crust dough and a small Hello Kitty cookie cutter to cut out my shapes for the tops of the tart. After brushing the tops with egg wash and dusting them with sanding sugar, they were ready for the oven! I baked them at 350F for about 50 minutes, until they were golden brown. My favorite way to eat these was to take bites all the way around the perimeter of the tartlet, so that I was left with just the Hello Kitty piece at the end, which I would pop in my mouth for the last bite! Yum! You can now find my recipe for Hello Kitty Strawberry Rhubarb Tartlets in my new book, "The Hello Kitty Baking Book"! Enjoy! Look very appetising and what a cute tarlet!